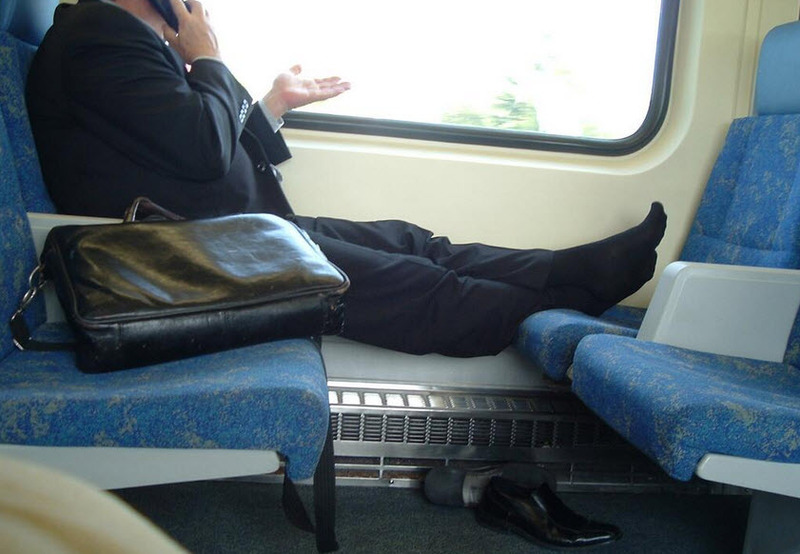 Just toss his bag (gently) on the ground, and sit on the seat. Or just sit on his bag, if you can be reasonably sure there isn't anything in there that will break and slice your cooter. It works. In all the times I've done that, the bag guy has removed the bag before I managed to sit on it, and apologized to me. There was one time when I did sit on a guys foot. That wasn't too pleasant. I'm starting to love that word.